I give Leonard my Min Pin treats when he goes into his crate when I have to leave for a bit. I also give them to him when we are doing training sessions, and basically whenever I feel like he "needs" one. He loves his treats to no end. We really only give treats during walks, as we are working on his dog reactivity with the click-treat method. 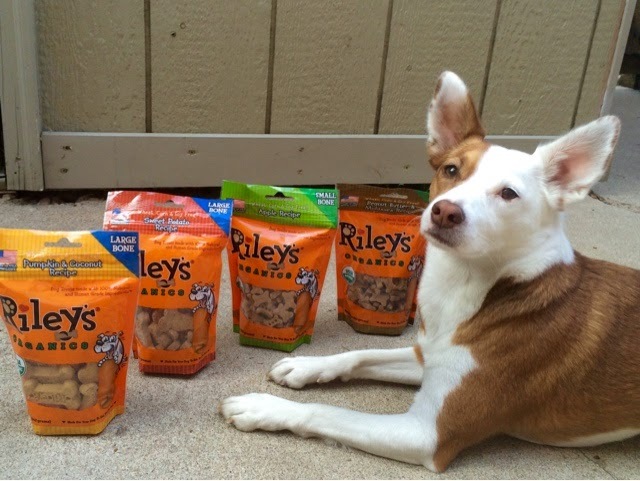 He loves Riley's treats! I have never heard of these! They sound yummy! Glad to hear Boca's eye is healing nicely. Yummy!!! 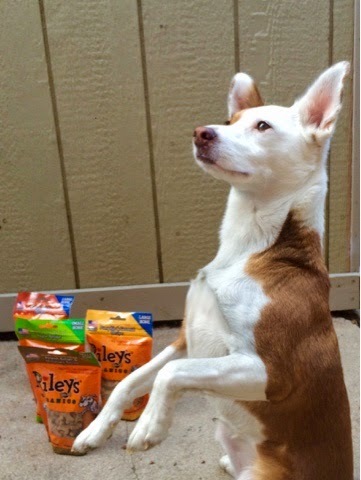 Those treats look great! Yum! It's a good thing these are for dogs and not people because I would have no will power when it came to pumpkin & coconut human treats! Barley gets treats all the time--little ones for training, cookies for going into her crate when I leave, and she's also become a fan of the bedtime cookie--but that's more so I can lure her out of the bed and out of my spot! Our pups have been diggin the sweet potato ones I just opened! 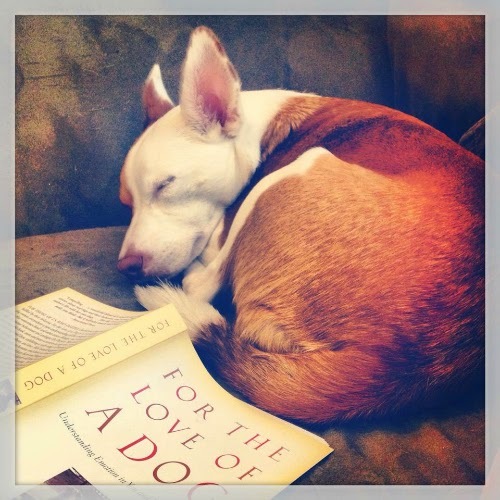 I have been giving my dogs treats for training and when they "crate"
I give treats for training. After grooming. For looking cute. For snacks. Pretty much all day long! I give my pug baby treats after bath time. We are treat connoisseurs in this house! We're always looking for great treats with simple natural ingredients since we train all the time! Good to know that they are easy to break - I even break small treats in half for my kids because they are so tiny. 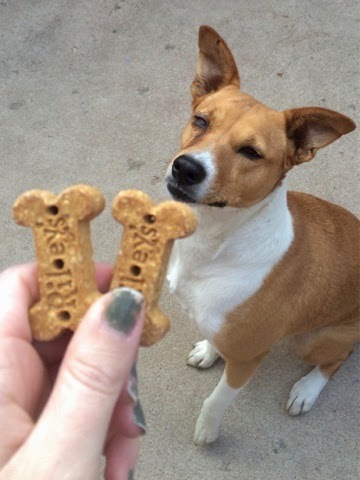 We usually give out treats before and after a long hike or training session. And sometimes "just because." My two rescued dogs go bonkers for Riley's treats! We give treats for training, for not chasing the cat when she comes in, and for when I leave for work in the mornings! 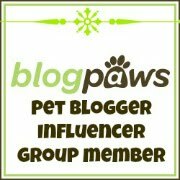 We are trying to "potty train" and crate train right now, so treats come in handy for that. We give Charlie treats if we feel like making him do tricks. We recently taught him to crawl which is cute! These sound great! 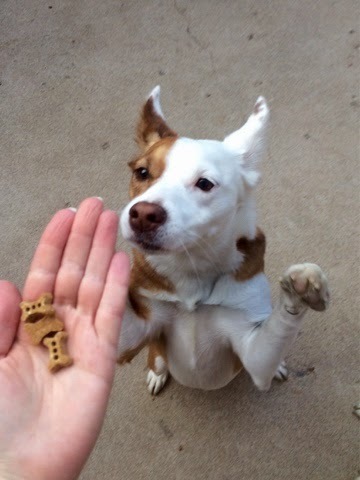 We use lots of treats for training, and the dogs also get treats when we leave for work, and after our meals (as long as they don't beg while we're eating - which they never do).